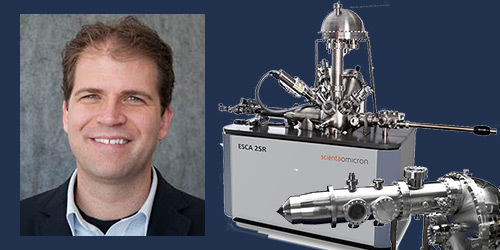 Mechanical Engineering Assistant Professor Steven DeCaluwe has been awarded a Major Research Instrumentation grant from the National Science Foundation for acquisition of an Environmental X-ray Photoelectron Spectroscopy instrument to establish a unique regional facility for exploring behavior of material surfaces in operating and/or reactive environments. The instrument will also be used for training in advanced measurements. This device will enable unparalleled insights at Mines and collaborating institutions across the Rocky Mountain region in a diverse array of material-dependent technologies and scientific fields, including energy storage and conversion, catalyst development, geological interfaces, thin-films, and chemical separation.